1. Pond & River Package– Spring through Fall. 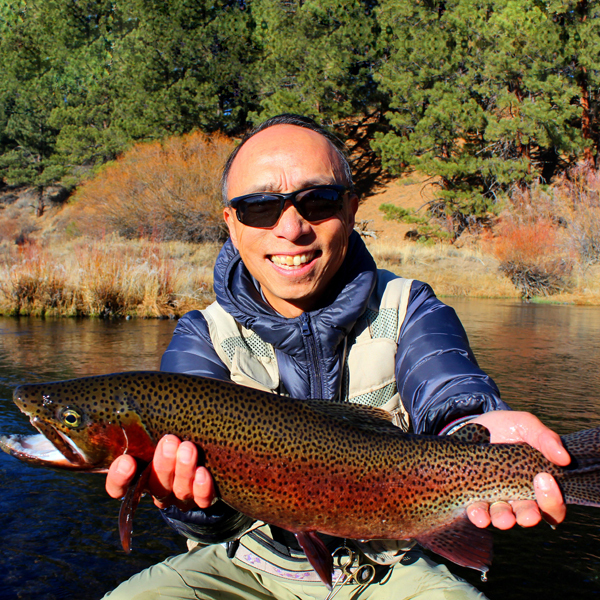 Our most popular package over the years has been combing our Cast N’ Catch class with a guide trip on the Truckee River. This option gives beginners and intermediate anglers the best of both worlds, hands on learning in our CnC class, and river time. We start with a three hour lesson on our private, stocked ponds learning all the fundamentals of fly fishing. After lunch the day of, or the following day we’ll meet in Truckee for a half day chasing large, wild trout on the Truckee River. This is truly our ‘Can’t miss” package for everyone! One person half day, $540, two people, $730 ($365/pp). Price includes, all gear needed. Does not include a one day CA fishing license or lunch. One person full day, $665, two people, $855 ($427.50/pp). Price includes, all gear needed. Does not include a one day CA fishing license or lunch. 2. Multi Day Guide Trip Package- Year round. For the adventurous angler looking for more than the “one and done” trip, this is for you. We know the amazing fishing opportunities the Truckee area can provide, and many times a full day on the river just isn’t enough to cover it all. We understand that may times you want to fish multiple days during your Tahoe Vacation. We can customize any variation of Full and Half day trips at your convenience. 3. Public/Private Water Guide Trip- Spring through Fall. The last few years we’ve realized the need for private water options for our guests. With that said, many people want to experience both public and private water during in the same day. This option allows you to kill two birds with one stone. We’ll meet in Truckee and fish half the day on one of our blue ribbon trout rivers, and half the day on the famous Sawmill Lake in Truckee. The proximity of the rivers to Sawmill allow for a seamless transition from river to lake or vice versa. We usually have lunch between fishing times. 4. Truckee/Pyramid Guide Trip- Fall through Spring. This is the newest addition to our package lineup. Pyramid Lake has become one of the top destination in the country to land a truly giant trout on a fly. Located about 30min. north of Reno, we’re blessed to have this amazing lake within a short drive from Truckee. With shots at Lahontan Cutthroat Trout exceeding 20lbs, this is a one of a kid fishery. Now combine that in addition to day of casing Browns and Rainbows on the Truckee and you are truly experiencing all the Reno/Tahoe area has to offer! Pricing- Varies with full or half day options. Your Pyramid lake day is full day only.